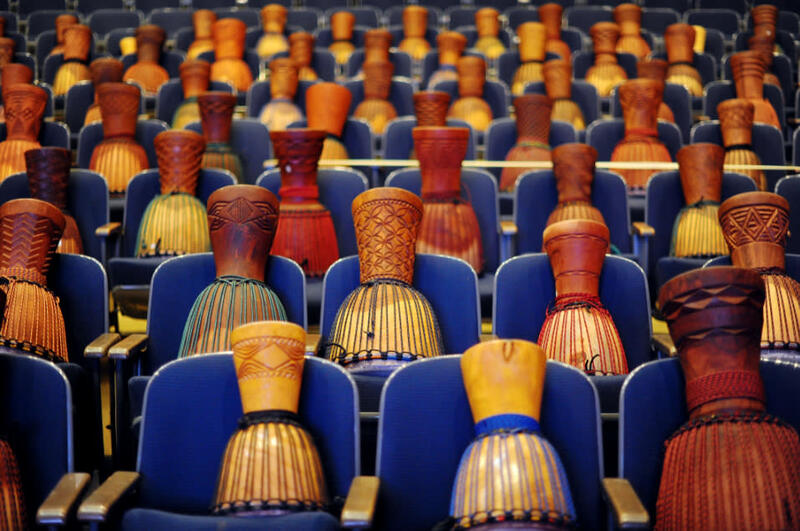 Following a smash-hit international tour, the new, interactive theatrical event, DJEMBE! The Show, makes its U.S. debut at the Apollo Theater (2540 N. Lincoln Avenue, Chicago), for a strictly limited engagement starting performances on March 19, 2019: Tuesdays - Fridays at 7:30 p.m. and Saturdays at 8:00 p.m., with matinees on Wednesdays, Saturdays and Sundays at 2:00 p.m. DJEMBE! **(JEM-bay) will engage audiences in a high-energy program with powerful storytelling and inspiring music, including iconic pop hits by artists from Michael Jackson to Beyoncé. Leading this lively musical journey will be the trio of Broadway talent Ben Hope (Once) as Emcee; critically-acclaimed Chicago musical theater artist Rashada Dawan (Caroline, or Change) on lead vocals; and Guinean djembe master Fodé Lavia Camara, backed by an ensemble of world-class musicians. Address: 2540 N. Lincoln Ave.